Chique is proud to offer the next generation of Semi-Permanent Bio-stimulating Fillers! The most exciting and upcoming trend in facial restoration. Kim Papp clinic owner and Advanced Nurse Injector explains. “In my role as an Advanced Nurse Injector I have been lucky to be able to play with all the latest injectables and be coached by some of the most progressive doctors in cosmetic medicine and plastic surgery. Hyaluronic acid fillers is where all injectors start and they represent the largest and most widely used group of dermal fillers. However, the most exciting trend in modern injecting is the resurgence of fillers that stimulate the body’s own building of collagen. Calcium Hydroxylapatite and Poly-L-Lactic Acid are both fillers that can be used in the face and body to create a longer-term look through volumisation and skin-building using the body’s biostimulatory mechanism. Both Calcium Hydroxylapatite and Poly-L-Lactic Acid are available at Chique and I will discuss their applications, differences and what might be right for you. Calcium Hydroxylapatite and Poly-L-Lactic Acid are very different products to inject (watery vs gel-like), and are also both different to your traditional Hyaluronic Acid (HA) fillers. HA fillers can be dissolved and are described as non-permanent, in contrast to Calcium Hydroxylapatite and Poly-L-Lactic Acid fillers which are semi-permanent and cannot be dissolved. Calcium Hydroxylapatite and Poly-L-Lactic Acid are useful in some areas where maintenance of HA fillers can be costly over time, or where there is significant volume deficit. Ongoing treatment with HA fillers can also create a “puffy marshmallow” result (due to HA’s water-loving nature), using semi-permanent bio-stimulating fillers in areas where a more structured look may create a better outcome because of it’s less hydrophilic (water-loving) nature. In the opening paragraph of this blog, I described the use of Calcium hydroxylapatite and Poly-L-Lactic Acid as a resurgence. This is true as both of these fillers as have been around for many years, however the new injecting techniques and dilution methods have drastically changed how these medications are used and the results being achieved. Practitioners have seen improved patient outcomes with these fillers and have been able to better improve indications that are more suited to this type of filler. The new injecting and dilution techniques have also reduced some issues encountered in the use of these fillers in the past, (which is another reason why it is important that your cosmetic injector is constantly being up-skilled!) Most injectors are not trained in semi-permanent bio-stimulating fillers as this only available through advanced injectors that have many years’ experience with HA fillers. This is due to there permanency and irreversibility. In Australia, injectors using these products must be specially trained and approved by the training medical practitioners that control supply of these products. Semi-permanent Bio-stimulating fillers can be customised for the individual patient. Bio-stimulating fillers may be injected either into the superficial dermis for the treatment of wrinkles and acne scars, or subdermally to add volume to the cheeks, temples and hands, and to correct contour deformities. These amazing fillers are fantastic in improving skin texture, collagen, elastin and superficial lines. Semi-permanent bio-stimulating fillers are also successfully used in conjunction with HA fillers to achieve a desired immediate result in the skin through layering of the different types of fillers. Biostimulating fillers are also used at Chique in our Décolleté and Neck Restoration Packages which aim to remove the much hated “sleep wrinkles” and skin laxity in those areas. Where appropriate, semi-permanent biostimulating fillers provide a means to achieve a rejuvenating effect on facial appearance as a lower risk, lower invasive option to a facelift. 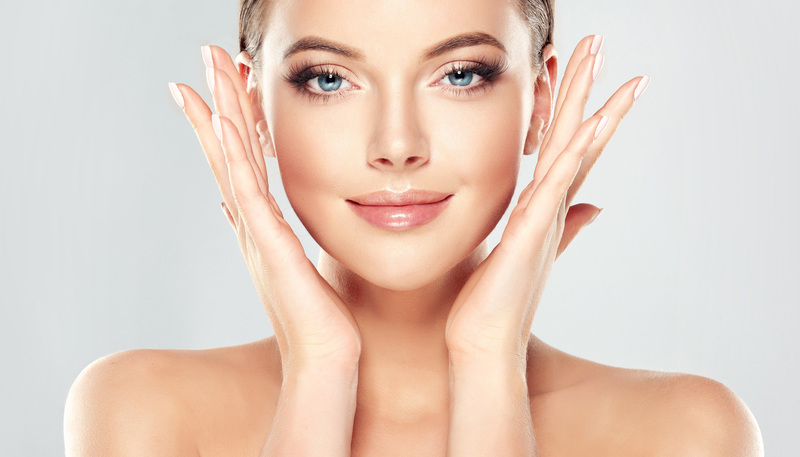 It is a particularly effective technique in patients who want a longer-term result than we can offer them with traditional HA dermal fillers. Improvement in facial appearance lasts up to three years. • Calcium Hydroxylapatite will give you immediate effect in regards to volumisation as this filler has a gel component which absorbs over the first 6 months. It will then work in the background stimulating collagen & elastin. The biostimulating volumisation effects should last through the 2-3 year mark. • Poly-L-Lactic acid takes 2-6 months for full effect and will gradually get better over time. We often layer a HA filler with Poly-L-Lactic acid appointment to offset this delay in volumisation. • Retreatment times for Calcium Hydroxylapatite is at the 1 and 6 month mark. *the above recommendations are general in nature and will vary from patient to patient.